This is a guest post from Jack B. Jack is a personal finance blogger at MasterYourCard and DebtLoans.com.au where he writes about credit cards and debt consolidation. You may think that your vanity credit card with pictures of puppies or your alma mater’s mascot is what helps the cashier at the grocery store peg your personality, but in reality, the features and terms of your credit card are far more telling. Of course, no one but you and your issuer know whether you have a low interest rate, cash back rewards or monthly reporting to credit reporting agencies. So, consider this rundown of credit card personality types as an exercise in self reflection. You may learn something about yourself. You, oh low interest rate seeker, are one who lives in the moment. A true American, you buy now and pay later. You carry a balance today so you can enjoy living beyond your means. To you, that finance charge is well worth having all the things you want, when you want them. You are first in line at Best Buy every Tuesday â€“ ready to be the first to get that newly released DVD, the first to hear the new album from everyone’s favorite band. Sure, you’ll pay more for it in the long run. But you’d rather have something tangible in your hands now than waiting to save up the cash. Of course, you’ll need to be careful: if you charge too many things today, you may not be able to afford the next impulse buy down the road. Shopaholics who live in the now may enjoy the Capital One No Hassle Miles Rewards or Capital One Platinum Prestige. You’ll pay 0% APR on purchases until May 2010 â€“ but you’ll need excellent credit to qualify. Where am I going to get the best deal? Who should I buy from to get the most rewards? With today’s tightening credit card terms, getting the most rewards for your spending habits isn’t always as easy as picking three top categories. Now, you have to shop online through your card issuers partners and keep track of â€œrotating categoriesâ€ and â€œplatforms.â€ It’s a lot of legwork, but that free vacation, free upgrade to first class, $250 cash back or $50 gift card to your favorite retailer is well worth it. You may even opt to pay an annual fee at the chance to earn rewards, because you’ve done your homework and know that it’ll pay for itself in the end. Looking for free stuff down the road? Get $50 cash back right off the bat with the Chase Freedom Mastercard. Or why not spend towards a nice tropical vacation with your Sandals Resort Platinum Plus Visa Credit Card. Yes, sir (or ma’am) â€“ you are the boss. As the owner of a small business or the head of your division, you trust your employees to make purchases on behalf of the company. You also have salespeople and consultants on the road on the company dollar. With your business credit card, you can have all of your employees on the same credit account and manage spending limits on each individual user. You can micromanage or delegate all you want â€“ and the best part is, you’re earning rewards for the company the entire time. Way to keep the bottom line in mind, chief! As a responsible businessman, you’ll enjoy the PartnersFirst Business Rewards Visa Card, which gives you itemized statements for each cardholder and 1% cash back on every purchase. Or how about a Starwood Preferred Guest Credit Card, so your road warriors can sleep in classy comfort. The stakes are high, but this is your last chance. If you can prove that you are reformed, you will be able to rejoin the fold of consumers with good credit. Begin rebuilding your credit with a First PREMIER Bank Gold MasterCard, with a low fixed APR and monthly reporting to the three major CRAs. Rather not go it alone? Get a responsible friend to be your cosigner. Or share the liability with your issuer with a Bank of America Secured Visa Credit Card. Of course, you should be aware of any balance transfer fees to ensure that credit card consolidation is worthwhile. You’ll also want to make sure that lowering your credit limit won’t throw your credit line to debt ratio too far out of whack. You can set up a balance transfer or use balance transfer checks to consolidate your credit cards. Consider the Discover More Card or the Citi Platinum Select MasterCard, both with 0% APR on balance transfer for the first 9 months. As you can see, these personality types were painted rather broadly. Not everyone with a low interest rate is a compulsive shopper and rewards aren’t just for fastidious deal seekers. But by taking time to realistically consider your spending habits, you’ll best be able to choose the card that will benefit you the most. After all, a low interest rate is neither here nor there to someone who pays off their balance each month and 20% cash back on online purchases is useless to brick and-mortar shoppers. Ignore the commercials and the well-meaning (but often misguided) folk wisdom of friends and family. Instead, think about how you’ll use your card before prioritizing the perks. 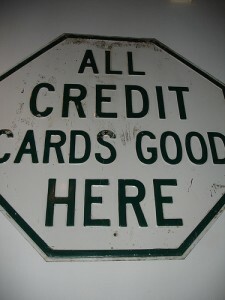 ARE YOU A CREDIT CARD USER OR ABUSER? It’s best to identify what kind of Credit Card holder you are, by then you’ll understand if your truly getting the best value. All the hauling about wifi enabled obtain elements together with their co-ordinates may seem very like just what Bing seemed to be executing using its Block Check out vehicles. May The apple company be confronting similar style of a tough time which The search engines got straight to? The top report That i’ve ever read! You’ve got blanketed just about the most complicated ideas which only those techno’s warped by simply practical might probable have come up with. But not just an eye on operator but in addition a imagination bender. Congratulations, as soon as my ideas settle down I’ll have an overabundance of to say. Next post: What Would You Give Up to get Out of Debt?